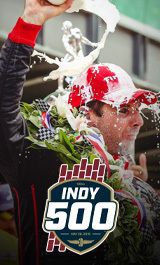 General admission and VIP tickets for the Snake Pit are on sale for $45 and $135 at ims.com and indy500snakepit.com. VIP amenities will include access to a raised viewing platform located beside the stage, a private cash bar and private air-conditioned restrooms. All Snake Pit ticketholders must be at least 18 years old and hold a valid Indy 500 general admission or reserved seat ticket. Ticket holders should be prepared to show proper identification to enter the concert. Packages that include Race Day general admission tickets are available. A package featuring general admission to the Indianapolis 500 and Snake Pit is $80, while a race general admission and Snake Pit VIP package is $170. Skrillex returns to the Snake Pit after headlining the 2016 event during the landmark 100th Running of the Indianapolis 500, one of the more than 500 shows he has played in 35 countries since 2010. He continues to be one of the biggest stars in electronic music, with eight releases and more than 10 million singles sold since 2010. He has won or shared eight Grammy Awards, in categories including Best Dance/Electronica Album, Best Dance Recording and Best Remixed Recording, Non-Classical. Born as Sonny John Moore, Skrillex released his debut full-length album, “Recess,” in 2014, which peaked at No. 4 on the Billboard 200. He also scored his first top-10 hit with “Where Are Ü Now” featuring Diplo and Justin Bieber. A tireless creator, Skrillex also has grown within the music and content industry through his own label, OWSLA, numerous media projects, the NEST online community and a state-of-the-art creative space he is building in his hometown of Los Angeles. His first fashion collaboration with G-Star sold out globally within days. Swedish DJ and dance music producer Alessandro Lindblad, more commonly known as Alesso, quickly gained mainstream recognition for his remixes of Tiësto, Swedish House Mafia and Avicii, as well as his own productions. His first major achievement came in 2011, when his remix of Nadia Ali's track "Pressure" was one of the most successful EDM tracks of the year. He made his first BBC Radio 1 essential mix in 2012 and earned the Track of the Year award on Zane Lowe's prime-time Radio 1 slot for the single "Calling (Lose My Mind)." He also managed to move up many notches in DJ Mag's DJ of the Year listings to number 20. He leaped to major success when he had a U.K. chart number one with his collaborative single "Under Control" alongside Calvin Harris and Hurts. In 2014, Alesso signed a deal with Def Jam Recordings, and in 2015 he issued his debut album, “Forever,” which included the singles "Tear the Roof Up," "Cool," and "Heroes (We Could Be)," the latter of which featured Swedish pop star Tove Lo. In 2017, he scored a modest hit on the all-star collaboration "Let Me Go," which featured Hailee Steinfeld, Andrew Watt and Florida Georgia Line. The track hit the Top 40 across the globe, rising to No. 6 on the Billboard Dance/Electronic chart. Denver-based Nick Miller, better known by his stage name Illenium, has won the hearts of dance music aficionados worldwide through his captivating remixes and enthralling original productions that have received more than 1 billion streams globally. His debut “Awake Live” performances throughout 2017 captivated audiences across the country and sold out some of the most renowned venues nationwide, such as The Shrine, Bill Graham Civic Auditorium, Aragon Ballroom, WaMu Theater and Terminal 5. In 2017, he released his second critically acclaimed studio album, “Awake,” which was listed in Billboard’s “10 Best Dance/Electronic Albums of 2017” and received more than 100 million streams and the No. 1 spot in the iTunes Electronic Dance Charts in 12 countries. Illenium also has performed at major festivals, including Lollapalooza, Bonnaroo, EDC, Decadence, Electric Forest and Paradiso, and he played Coachella for the first time in 2018. Among Chris Lake’s credits are several Billboard chart-toppers, a platinum record, a Grammy nomination and a Midas touch for supporting emerging talent. Lake fully realized his vision in 2017 when he launched his new record label, “Black Book Records” The debut release, “Operator ft. Dances With White Girls,” was the Holy Ship! 9.0 anthem by the end of January and gained support from almost every house DJ, from Claude Vonstroke and Green Velvet to Disclosure and Duke Dumont. He also released in 2017 his OWSLA release “I Want You” and a compilation co-curated with Skrillex called HOWSLA. The compilation jumped to No. 1 in the iTunes Dance Chart and was celebrated at a live-streamed release party. Lake also toured North America on the 21 stop “Lose My Mind” tour in 2017, selling out clubs such as the El Rey in Los Angeles, Coda in Toronto, and 1015 Folsom in San Francisco. He also played the festival circuit in 2018, including Bonnaroo, HOLY SHIP and Electric Forest.